Vancouver, BC, December 3, 2018--(T-Net)--UBC reported today that Canada's Minister of Natural Resources has announced an $8-million investment to develop a first-of-its-kind robotic platform called Ada that uses artificial intelligence to accelerate the development process for new materials to improve energy efficiency. 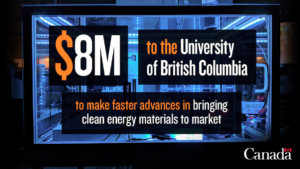 Funded through Canada's Energy Innovation Program, the University of British Columbia is building the new platform, which will be capable of designing, performing and learning from experiments. The robotic components for this project are also made in Canada. Ada is a state-of-the-art, artificially intelligent robotic platform for clean energy materials discovery and development. Researchers at the University of British Columbia and the University of Toronto are utilizing advanced robotics and machine learning algorithms to equip this platform with capabilities to design, perform, and learn from its own experiments. Ada's first proof-of-concept application is to develop and optimize high-performance, low-cost materials for use in advanced solar cells. "Prof. Jason Hein (UBC), Prof. Alán Aspuru-Guzik (University of Toronto), and I are honoured to have had our program selected by Natural Resources Canada as the lead project in Mission Innovation - Challenge #6. Our project represents a bold initiative that will accelerate the discovery and development of new clean energy technologies by leveraging cutting-edge robotics equipped with artificial intelligence. We are very excited to be at the forefront of this innovative movement in materials science. We would like to also thank North Robotics, our small business partner, and the University of British Columbia for their support." said Curtis P. Berlinguette, Professor, University of British Columbia. See full details on the new Ada Robotics platform project here. "Canada will continue to work with partner countries, international organizations and the private sector on innovative projects that will boost economic growth and contribute to our climate change commitments. We are proud to support such an exciting, cutting-edge project that will position Canada as a leader in clean energy innovation and will bring us one step closer to the low-carbon future we all want." said Amarjeet Sohi, Canada's Minister of Natural Resources. 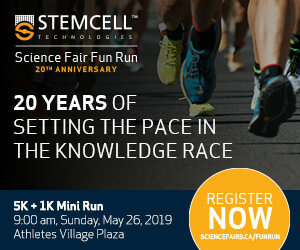 The government also noted in its press relpease that Canada will host the 4th annual Mission Innovation Ministerial, alongside the 10th annual Clean Energy Ministerial in Vancouver, British Columbia, May 27-29, 2019. The event will bring together global clean energy leaders to discuss cutting-edge transformations and reinforce international collaboration in the transition to a low-carbon future. 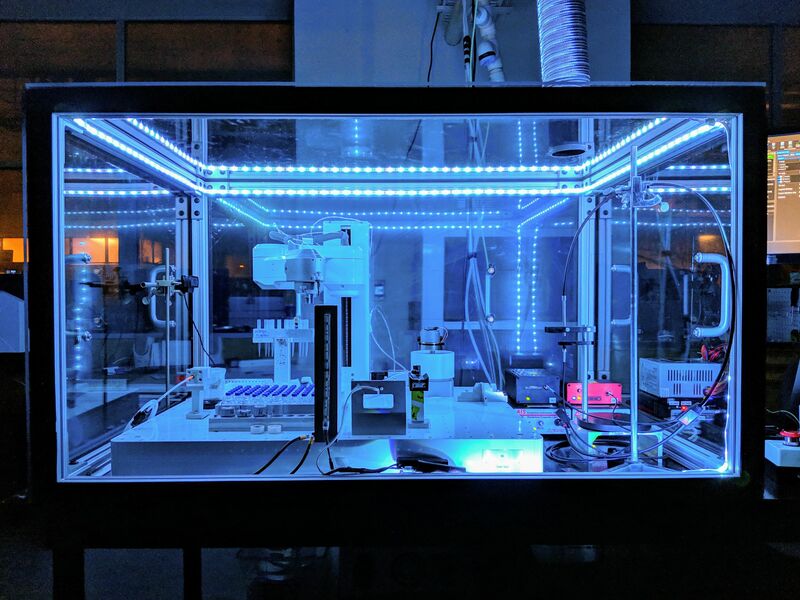 The speed and volume of advanced materials development, molecule design, and molecule fabrication can be increased dramatically by harnessing AI-enabled design techniques, high-performance computing, and advanced robotics. Our mission is to combine these technologies to accelerate and revolutionize advanced materials discovery. We will develop an integrated Materials Acceleration Platform (MAP) that optimizes, automates, and disrupts the entire materials discovery cycle. MAPs could eventually develop into either self-driving laboratories or automated and smart materials discovery factories. We use advanced AI-enabled design techniques and robotics, supported by high-performance computing, to allow Materials Acceleration Platforms to get smarter and faster after every experiment as they learn and optimize processes using custom-made machine learning algorithms. AI, machine learning algorithms, and robotics will be the brain, glue, and arms that close the loop and disrupt the re-envisioned materials discovery innovation chain.